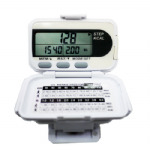 Calorie Pedometer | Our products range includes pedometer， green energy products， healthcare products， etc. 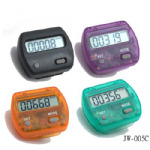 Model: JW-012C Pedometer Calorie Practical Calorie Pedometer with Stopwatch Features (steps, distance, calorie, Stopwatch) Size: (L) 5.40 * (W) 4.15 * (t) 2.70 cm Packing: Each in window box, 100pcs/Ctn, G.W. : 7.0kgs, M.M. : 1.50cft. 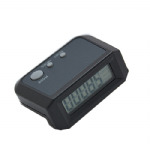 Model: H-207　Pedometer Calorie Counter　Size: (L) 4.8 * (W) 3.51 * (t) 2.0 cm　Packing: Each in window box, 100pcs/Ctn　G.W. : 6.0kgs, M.M. : 1.50cft. 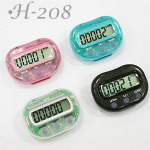 Model: H-208 series　Pedometer Calorie Counter Size: (L) 4.8 * (W) 3.51 * (t) 2.0 cm　Packing: Each in window box, 100pcs/Ctn　G.W. : 6.0kgs, M.M. : 1.50cft. 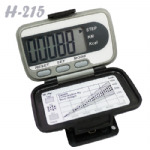 Model: H-215D　Calorie Counting Pedometer　Size: (L)59.7*(W)38.4*(T)29.7 cm (including the back clip)　Packing: Each in giftbox, 100pcs/Ctn　G.W. 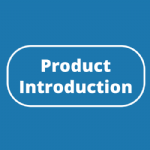 :12.0kgs, M.M.:1.75cft. 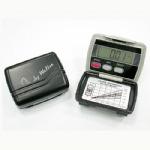 Model: JW-009C　Calorie Pedometers　Size: (L) 5.3 * (W) 4.0 * (t) 2.1 cm　Packing: Each in window box, 100pcs/Ctn,　G.W. : 7.0kgs, M.M. : 1.63cft.